Marianne Fischer has been painting and selling art for most of my adult life. She holds a BA in Art History, and besides classes at the Famous Artists School based in Connecticut, Art Students League, NY City, Montclair Museum in N.J. and Ridgewood School of Art, N.J., I have been fortunate to take workshops from some of the top professionals in the country. She still loves to join fellow artists in workshops to keep her creative fires burning. Marianne Fischer is currently enjoy membership in the Artisans of St. James, Associated Artists of Southport, Wilmington Art Association, and the North Carolina Watercolor Society, in which she has recently been awarded Signature Membership. Her paintings have been included in numerous juried shows, both regional and national. They appear in private homes, corporate offices and government buildings throughout the country. Marianne Fischer paints in watercolors and in oil with occasional work in pastel or acrylic. 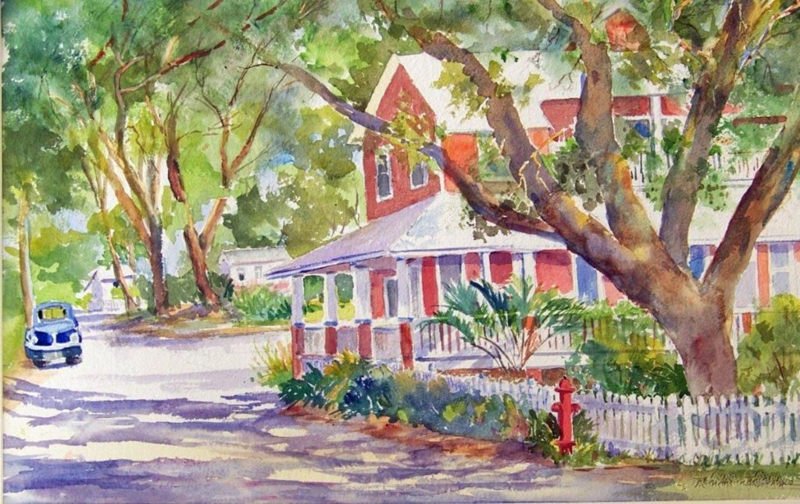 Her favorite is watercolor for its challenges, spontaneity, and gorgeous clean colors. 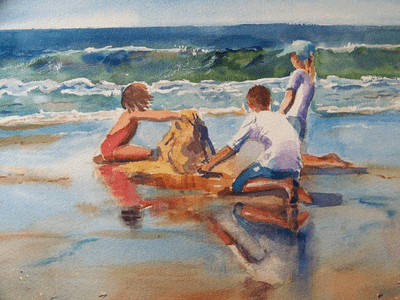 She is drawn to landscapes and seascapes and has brought home many ideas from her travels. 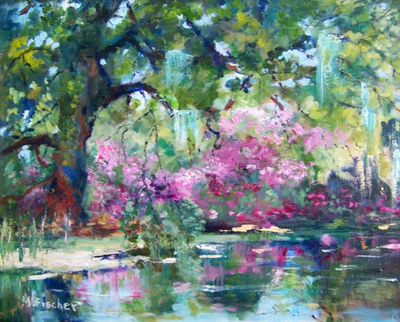 "If there is a body of water near me, I want to paint it. I have a wonderful family who have always been my cheering section. 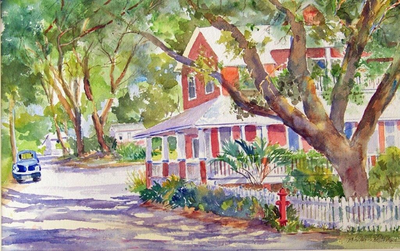 Her work is currently exhibited in Franklin Square Gallery and the St. James Community Center.